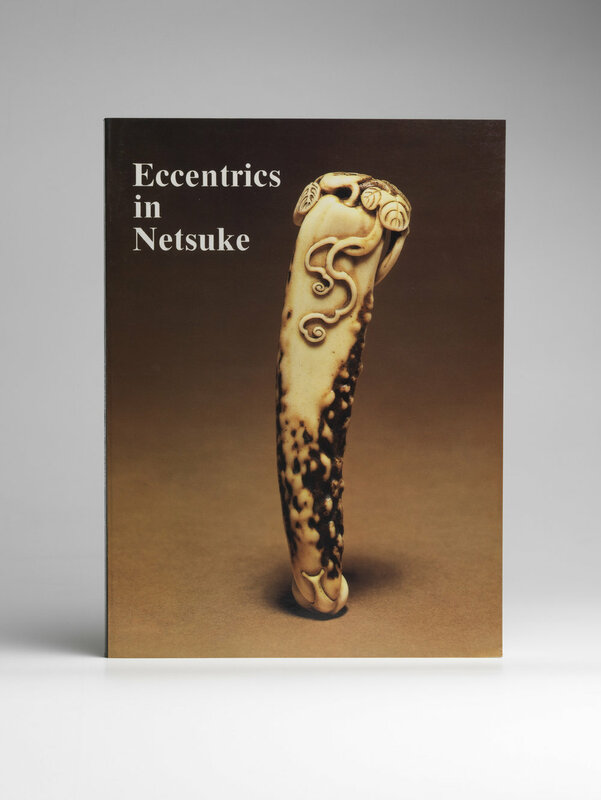 Eccentrics in Netsuke — Sydney L. Moss Ltd.
An ambitious soft-cover colour catalogue which features contributory essays illustrated by objects both for sale and for exhibition only, examining in some depth the work of eight netsuke carvers and one lacquerer. 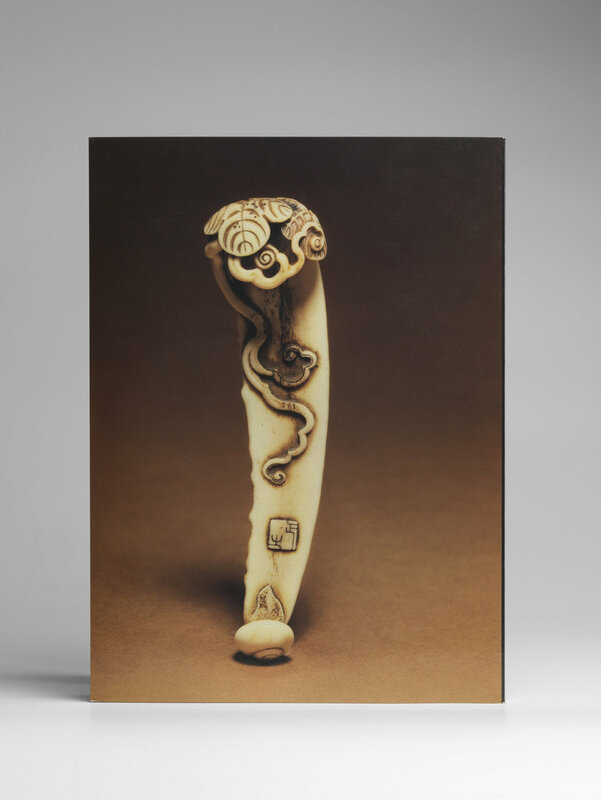 Ted Wrangham wrote about Ritsuo, George Weil on Masanao of Kyoto, Arlette Katchen on Tametaka, Neil Davey on Ogasawara Issai, Mary Hillier’s "Oriental Art" magazine article on Sessai was borrowed, Paul Moss wrote about Kokusai, Hoshunsai Masayuki and Tokoku, and Richard Silverman about Kano Tessai. A total of 123 works shown in 57 colour and 42 black-and-white illustrations.